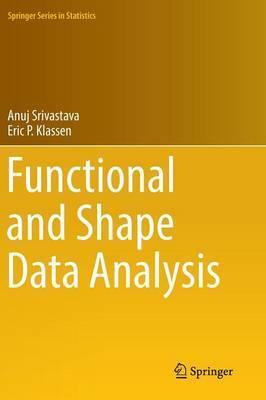 This textbook for courses on function data analysis and shape data analysis describes how to define, compare, and mathematically represent shapes, with a focus on statistical modeling and inference. It is aimed at graduate students in analysis in statistics, engineering, applied mathematics, neuroscience, biology, bioinformatics, and other related areas. The interdisciplinary nature of the broad range of ideas covered-from introductory theory to algorithmic implementations and some statistical case studies-is meant to familiarize graduate students with an array of tools that are relevant in developing computational solutions for shape and related analyses. These tools, gleaned from geometry, algebra, statistics, and computational science, are traditionally scattered across different courses, departments, and disciplines; Functional and Shape Data Analysis offers a unified, comprehensive solution by integrating the registration problem into shape analysis, better preparing graduate students for handling future scientific challenges. Recently, a data-driven and application-oriented focus on shape analysis has been trending. This text offers a self-contained treatment of this new generation of methods in shape analysis of curves. Its main focus is shape analysis of functions and curves-in one, two, and higher dimensions-both closed and open. It develops elegant Riemannian frameworks that provide both quantification of shape differences and registration of curves at the same time. Additionally, these methods are used for statistically summarizing given curve data, performing dimension reduction, and modeling observed variability. It is recommended that the reader have a background in calculus, linear algebra, numerical analysis, and computation.